Since the mid 2000's the RHAC (formerly the School of Rural Health - SRH) has had a major interest in looking at how we can use clinical data to better inform and improve healthcare in rural Australia. 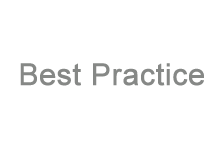 Although research in this area has been conducted for many years, it often concentrates on qualitative research methods rather than quantitative methods. In particular record-linkage of clinically collected data for research is almost unheard of out-with large, centralised governmental organisations. For Australian researchers, this means that they are unable to link General Practice or community data to hospital or the secondary or tertiary care sources of information. They are almost always unable to link data across State boundaries or other jurisdictional boundaries. 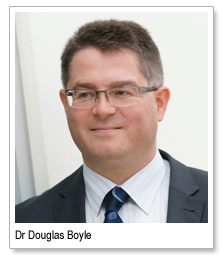 Since 2006 with the appointment of Dr Douglas Boyle, the RHAC has been at the forefront of research aimed at addressing the many technical, legal, organisational and often personal barriers that must be overcome. In late 2007, the prototype version of the GeneRic Health Network Information Technology for the Enterprise (GRHANITE™) addressing these problems was ready. Since 2007, the GRHANITE™ system has moved from the realms of research into a mature, flexible system available to researchers Australia-wide. In 2011, after nearly 20 man-years of development, the GRHANITE™ Health Informatics Unit was formally established to deliver GRHANITE™ and related services to the Australian Research Community. GRHANITE™ generic middleware supports interfacing to most common database and data export formats including: Text files, MS Excel, MS Access, FoxPro, dbase, SQL Server, Oracle, Firebird, Interbase, DB2, MySQL, OleDB, ODBC, JDBC. Many have asked where the acronym comes from! In 2006 the School of Rural Health established a Rural Health Academic Network (RHAN). This is a network to support regional activities with regard to service development, audit, research and education in North East Victoria. Initially the scope of GRHANITE™ was limited to implementation across RHAN. Being Scottish (and there being a lot of granite in Scotland) Dr Douglas Boyle adapted the word granite (signifying strength and durability) to incorporate RHAN - hence GRHANITE™. Subsequently the scope of GRHANITE™ has grown and the acronym now stands for Generic Health Network Information Technology for the Enterprise. Dr Boyle takes full responsibility for the acronym!